The publications and presentations listed below may be password protected due to copyright restrictions. Please email Tom Ewing to gain access. E. Thomas Ewing, C. Edward Watson, Amy Nelson, David Hicks, and Jane L. Lehr, "How Can Educational Technology Improve Content Knowledge and Classroom Pedagogy? Teaching History and Preparing Teachers With the Digital History Reader." Robert P. Stephens, "Teaching Visual Culture in Survey Classes With Computer-Based Multimedia." Marian Mollin, "Work or Entertainment? The Promises and Perils of Moving History Assignments to the Web." Daniel B. Thorp, "In Class and on the Computer: Comparing Two Modes of Student Discussion in Large Survey Classes." 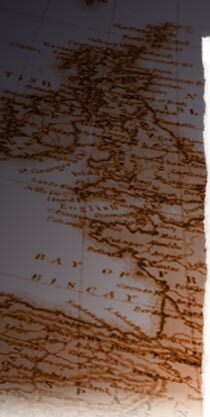 "Digital History Reader: Enhancing Learning and Understanding in U.S. and European History." C. Edward Watson, "Project Development and Considerations." Robert P. Stephens, "Designing a Digital History Teaching Module." Robert P. Stephens, "Teaching Visual Culture With Digital Technology." E. Thomas Ewing and Jane L. Lehr,"Teaching Historical Analysis Using the Digital History Reader."